The Dash/USD pair continues to grind overall, as we are just below the crucial $100 level. While Bitcoin grabs most of the headlines, there is a world of crypto currency out there moving right along. Dash has been relatively stable why many of the other crypto currencies have been unreliable to say the least. During the trading session on Wednesday, we formed a shooting star just below the crucial $100 handle, which of course will attract a lot of attention. With that being the case, it makes sense that the Thursday session was a bit negative. However, the 50 day EMA is just below and that of course will attract a lot of attention by technical traders. With that being the situation, buying the dips could continue to work, but keep in mind that you will need to take it slow, as it seems to be more of a basing pattern than anything else. 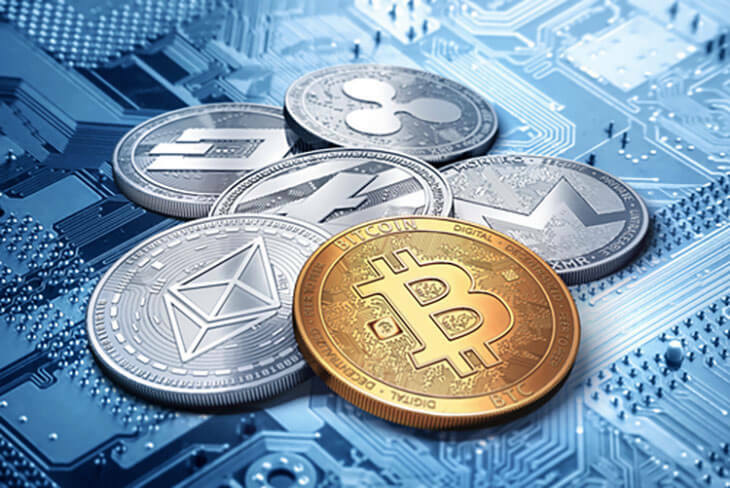 Bitcoin of course has its influence on the entire crypto currency market, and if it starts to take off to the upside that could in fact help Dash and other crypto markets. 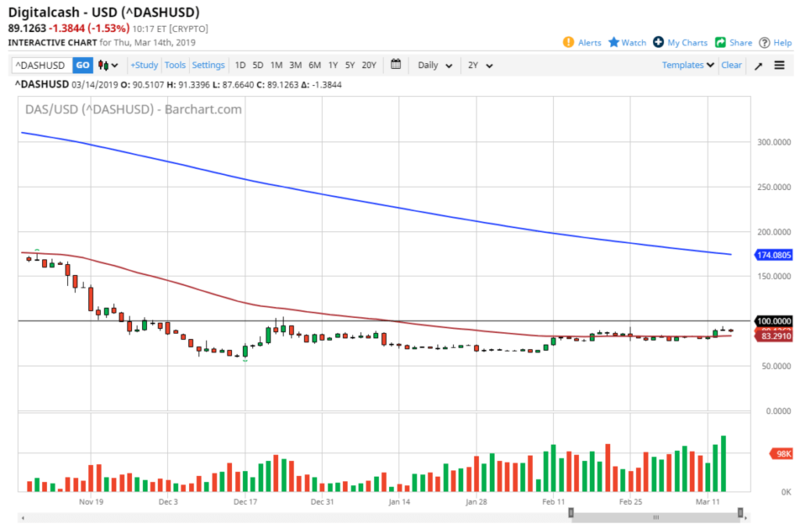 While Bitcoin has been somewhat stable as of late, if you can break out to the upside that will more than likely provide the fuel necessary for Dash to take off above $100 and leave it in the rearview mirror. Once that happens, bitcoin could drag the rest of the markets higher and in this case to the $125 level, and then the $150 level. The best thing in a situation like this is simply to buy little bits and pieces and build up a larger position for when the market probably takes off. The $50 level underneath seems to be a major floor in the market, so it’s very unlikely that we will break down below there. The problem with building a position in a market like this is that you never really know how long it’s going to take to get your move, so there isn’t probably going to be much in the way of a rush to get involved. If you build up your position slowly, think of it more as an investment and take advantage of the basing that we are seeing around the crypto universe, and assume that the Dash markets will follow right along. Above at the $175 area there is the 200 day EMA, which of course will have a major effect on the market to the upside. However, by the time we get to that level it’s very likely that we will have built up enough momentum to continue going higher.